Piezography® is unlike any other photographic printmaking system in the world. It's primary purpose is printing black & white photographs with carbon. Over the years, Piezography has continuously maintained the highest possible standards in black & white inkjet printing. Today, it is a fully mature and developed product with benefits that remain the target of past and current OEMs. It a notch well above current OEM systems and sets a level of its own. A Piezography system includes a set of replacement inks, a set of reusable cartridges, a special OS X / Windows printer RIP which replaces the Epson printer driver, and an array of proprietary media profiles. Extensive user manuals are provided as well as the Industry's highest regarded product and technical support. If you're ready to get started click here to go to the Piezography website to see what positions you install your ink set, and to download the manuals and software. One of the benefits of the Piezography proprietary media profiles is to triple the perceived resolution of the converted Epson printer. They produce more printable locations for microdots allowing a substantially smoother tonal latitude. Combined with up to seven shades of carbon based ink, these proprietary media profiles produce greater acuity and detail, smoother skin tones, increased shadow and highlight detail, and substantially more gray levels than the Epson ABW system. Piezography is the only system capable of printing tens of thousands of gray levels making it a perfect accompaniment to 16 bit raw photography. The Piezography system is totally democratic. An iPhonographer can make extraordinary 20x24 prints with a Piezography system. Owners of the new high resolution cameras, and those investing in Leica sensors will finally see the gains that these investments in gear can produce. The plain fact is that Piezography squeezes the best out of any digital camera. When film is scanned, a much greater tonal latitude can be printed than in the darkroom. When used to make digital negatives, Piezography emulates traditional film without any of the digital artifacts associated with making inkjet film with color inks. The final proof is always in the printing. The most striking characteristic of a Piezography print is produced from the increased load of high quality carbon pigment being printed. The dMax will pick up nearly a full stop as it dries. The quality and preparation of the carbon printed in a thick emulsion on the fine art matte printmaking paper produces an effect not unlike light reflecting off the dust of a butterflies wings. Piezography when printed on fine art baryta surfaces eliminates all gloss differential and bronzing. The donor printer needs to be in good health. Because tens of thousands of more gray levels are printed than when using the Epson ABW system, your imaging skills are bound to be excited and exercised. Using more shades of lt black carbon ink produces smoother and wider tonal latitude and sharply increases both highlight and shadow detail. The proprietary media profiles drop about 40% more ink dots than can Epson media profiles or ABW settings. The end result of a Piezography print, is that it has "breath" and"soul". So if you have two printers - one slightly less better than the other - retain that one for your color inks and use the best one for Piezography. Do you have an Epson printer with one or more clogged channels? We may be able to convert it into a Piezography system by mapping out bad channels and rearranging the ink assignments! We do this all the time for our customers. Please contact us. We have successfully mapped out all kinds of printer models for use with Piezography including 3800/3880s, 4880s, 4900, 7900/9900s, 7880/9880s, 7890/9890s and even 2880s. Inexpensive ($85 OS X, and $50 Windows) software is installed. The only printers we produce are listed on our webstore. The easy to use interface and the Piezography workflow is well documented. Installation of the inks does not require flushing of the printer, but flushing is a recommended best practice. The entire set of color inks from an Epson printer are exchanged with up to 11 Piezography monochromatic inks at one time. The printer while dedicated exclusively to black & white printing can later be reconverted back to color. 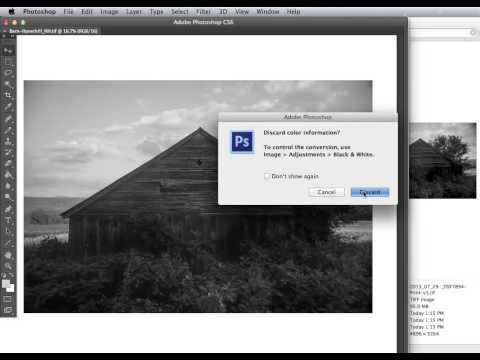 Color images must be converted to grayscale prior to printing and saved in either Adobe RGB 1998 or Gamma 2.20. Windows users can print only one image at a time. OS X users have a layout interface permitting the printing of several images with independent resolutions. A Piezography media profile that matches the media being printed is selected prior to clicking the Print button. The printing time is not doubled even as the optical resolution of the printer is. And it really is quite easy to operate. Please click here to download our Manual. Piezography inks are easier on the print heads than the OEM inks. It is not uncommon for a Piezography printmaker to have used the same printer for 6 or 7 years. Some even longer. You should clean the capping station and print head every six months (we have excellent how-to videos). You need to shake the Piezography carbon inks regularly in order to maintain a perfect density value of each of the shades of ink. If you are going to leave the printer unattended for several months, we recommend re-using or acquiring a set of flushing cartridges. The printer can be stored at least one year with PiezoFlush. There are five Piezography K7 ink sets available to choose from that are installed as an entire set of 6 or 7 shades of black. The amount of shades differs depending upon printer model. These ink sets mimic traditional photography process and you choose a set because you prefer all of your prints to be produced with that tone. There is also the new Piezography Pro ink set which uses either a double quad or double quint ink set which is blended in software giving you seven or nine shades of ink depending upon printer model. But rather than one single tone of ink, the new system lets you choose to make a Piezography quality print in any of one million different blended or split tones. It also features the industry's darkest blacks (although you can upgrade a K7 ink set to the new ultra dark blacks). Read here to find out more about the differences in these ink sets.